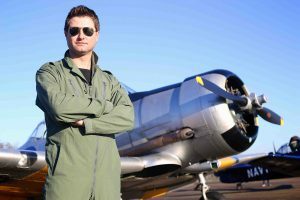 About AJ841 – Our Desert Air Force (DAF) Harvard AJ841 is available for film or media work. 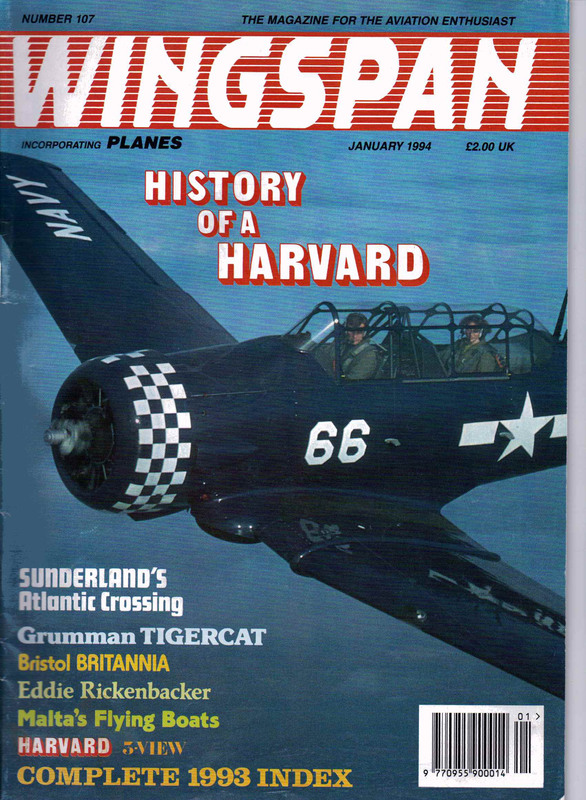 The Harvard provides an excellent prop for any WWII period setting. 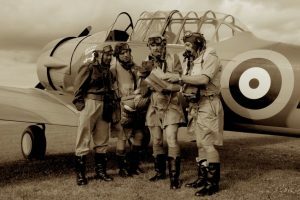 The Harvard was the primary advanced trainer and company ‘Hac’ during WWII and was ubiquitously seen on airfields not just in the United Kingdom but Worldwide. We are proud to say that the camouflage scheme, serial number and RAF decals are totally authentic to an aircraft that did exist from 1941 – 1946 down to the last detail. Flying – Our Harvard not only looks great but also flys great as well having a full certificate of airworthiness and on the public transport register. This means that with one of our instructors you may even take the controls during flight. The aircraft can perform many aerobatic manoeuvres such as the Aileron Roll, Cuban Eight, Inside Loop and the Barrel Roll. The cavernous cockpit built for oversized Texans, allows plenty of room to fit camera equipment inside along with the pilot to get those realistic internal flying shots. Static Display – Available also for static ground display and filming. As you can see from the gallery, she is just as stunning on the ground as she is in the air. 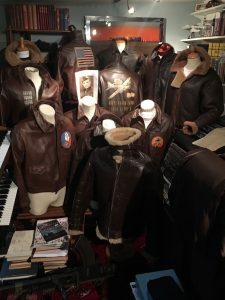 Authentic Uniforms – See below for more information, We have a wide selection of British and American WW2 uniforms and flight gear available. 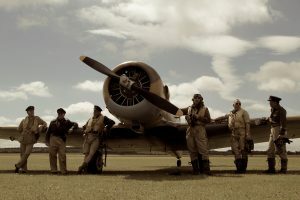 We can supply consultants to ensure the historcal accuracy of your film shoot is completely accurate for any wartime period. Kit and equipment changed many times between 1939 and 1945, we strive for authenticity. October 2017 saw the Wacky Wabbit being used in an advert to promote the Call of Duty Code Strike. 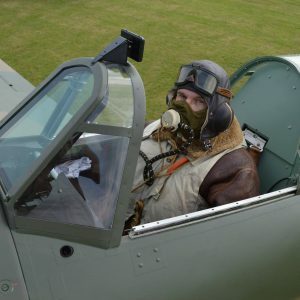 The actor wore a B type flying Helmet and a D type mask, the exact copies of what was worn in the Battle of Britain. A stunning short clip and a great edit. Harvard (G-BJST) was used during the making of the film ‘Empire of the Sun” It is shown here (left) painted up to look like a Mitsubishi Zero. Apparently she was used as a ground prop surrounded by explosions in one of the bombing scenes. Unfortunately we don’t have any further information on its staring roll! 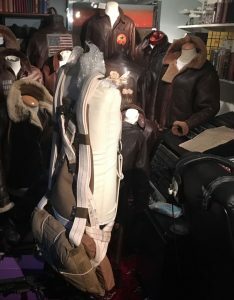 Apparently at this time G-BJST was part of the Jeff Hawks collection that supplied aircraft to the film industry If you have any further information on its part in the film please let us know.